One bedroom suite with king bed or two singles, FREE on demand movie system on 3D LED TV, tea & coffee facilities, private ensuite and private balcony. Minimum 2 night stay. One bedroom suite with king "Sleep Number" bed, on demand movie system on 3D LED flatscreen TV, tea and coffee facilities, private spa with infinity bath and TV, 2 person steam shower and private lounge, fireplace and balcony incl. views of Melbourne. One bedroom suite with king "Sleep Number" bed, on demand movie system on 3D LED flatscreen TV, tea and coffee facilities, private spa with infinity bath and TV, 2 person steam shower and private lounge, fireplace and balcony with views of Melbourne. Starhaven Retreat, an internationally acclaimed home, as seen on TV’s Grand Designs Australia, offers stylish 4.5 star B&B suite accommodation. All suites have private ensuites, tea & coffee making facilities, 3D LED flatscreen TVs with your own choice of movies to watch. It’s the ideal choice to stay, meet & relax with a difference. Starhaven Retreat’s beachside location offers stunning surrounds with fantastic views across the bay to Melbourne from the balconies and rooftop terrace. Perfect for long relaxing strolls and bird watching along the beach. 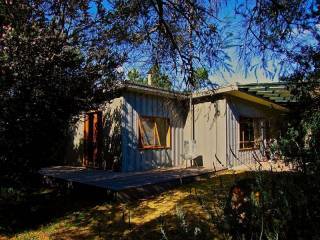 Afterwards nestle up next to the 2m long open fire with a book or glass of local Bellarine wine. The games room with a range of board games, full size billiard table and 58inch 3D TV is bound to give hours of fun. Relax in the spa area with jet stream swim spa and Sauna. Or simply enjoy a cocktail in the bar lounge adjacent to adjacent to the "Gold Class" style 15 seat cinema with starlit ceiling, showing a different movie every night. For the gourmet in you, a fully cooked breakfast is served daily, while you sit on the terrace pondering over the view and decide what you should do for the day. 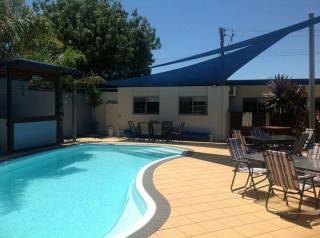 There is so much to see and do on the Bellarine Peninsula and everything is within easy access from Starhaven Retreat. Many wineries & olive groves nearby offer wine tastings and local produce. 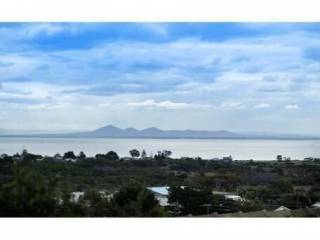 You can enjoy lunch with stunning Bellarine Views at most. Portarlington’s 18 hole golf course is just minutes away from the retreat. Charter a boat for superb fishing in & around the bay. Go Scuba diving on local ship wreck, the Ozone. Famous Queenscliffe is a short 30 mins away with its many restaurants and quaint shops. There are a number of fantastic restaurants nearby, but should you wish to spend the night in “at home”, you can join your hosts for a gourmet 3 course dinner under the stars, packages are available to book. Payment Policy Payments by cash, paypal, and the following cards: Visa Credit, Mastercard - no charge. Full booking balance is due on reservation, which will be refunded if cancelled more than 72 hours before arrival. In the event of a no show or booking reduction (after arrival date) a charge of the first night will be taken and the remaining amount will be refunded. To cause the least disturbance to other guests, we have chosen not to have children of a very young age (unless you have an exclusive booking) Please enquire. Cancellation Policy Cancellations or changes to bookings for this room must be made at least 72 hours prior to the check in date and time or you will be charged the full amount of the first changed or cancelled night.